Djibouti is a multi-ethnic nation located in the Horn of Africa. Djibouti is located near in some of the world’s busiest shipping lanes that have access to the Red Sea and the Indian Ocean. If you are planning a relaxing weekend, Khor Ambado Beach is the best place to visit as you get to enjoy the pristine beach which offers a variety of water activities, such as snorkeling, swimming, diving and many more. Some named the area The French Beach because most of the French militaries used to take their families there. Before you can see its wonderful beauty, the road to get there is quite fun and exciting, and if you are a fan of adventures, then this is really a perfect place for you. You’ll need to ride 4WD so you won’t get stuck in the sand and for you to access the beach. Djibouti is predominantly a Muslim country so exposure of some skin should be taken into consideration especially for women. If you are looking for a serene yet with a mix of an adventure, then the Day Forest National Park is for you to visit. It is the largest forest in Djibouti and one of the most valuable park as it provides a home for the East African Junipers that grows in the height of above 950 meters. It also provides protection to different kinds of species such as the Djibouti francolin, green-winged pytilia and many more. Lake Assal, also known as the ‘honey lake,’ is the most saline lake in the world. It is considered a national treasure that’s why I advise you to have a glimpse of this amazing wonder of nature. Lake Abbe differs from Lake Assal as this lake is salty. It’s the ultimate destination of the waters of the Awash River. The oldest town in Djibouti is Tadjoura City, which is near the beach area. If you love diving, meeting nemo, turtle watching and seeing Giant Reefs, then Tadjoura is the perfect place for you. Site around this area also include Ras Ali, Ras Ouan, Trevally Valley, Alices Fault and Sabes Blancs. 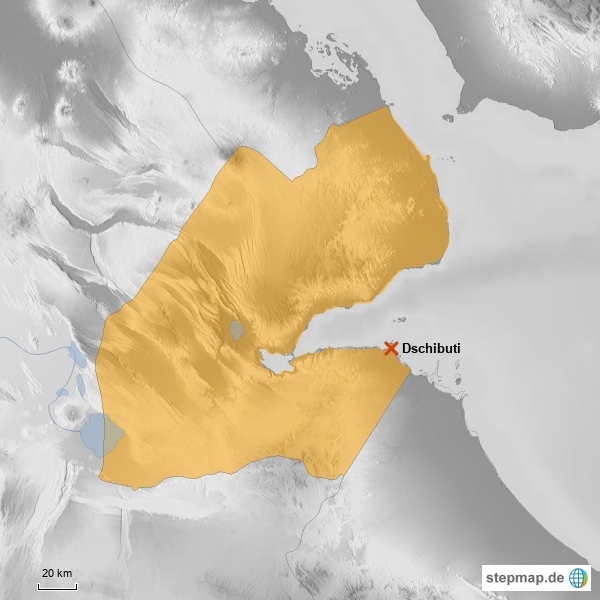 Djibouti City is known as the Pearl of the Gulf of Tadjoura because of its location. It is where the busiest shipping lanes can be found and where refueling and transshipment happens. Djibouti City offers variety of food selection. Locals normally eat pancake-like bread which can be eaten with a stew or soup, but they also offer different types of meat like goat meat, diced beef cooked in a soup-like base and jerky. Rice is also available and they used wide range of spices which makes their food a little bit strong but tasty. Sambusa is a must try delicacy in Djibouti City. It is a triangular snack made of hot green chili peppers, so prepare to be on fire when you eat it. A beautiful family beach with a fine sand that offers tons of different water sport - that is how I can describe Plage des Sables Blancs. Plage des Sables Blancs is a place to see a spectacular sunset. Obock is a small port town. When you are in Obock, make sure to visit the Augustinian Church, the Hellbrunn, Zell am See, Wattens (especially if you love Swarovski crystals) and the Villach, which has a history since the 12th century. Goda Mountains is the nation’s largest heavily vegetated area. It has been a home for different types of animals like leopard and desert warthogs, to name a few. The plankton-rich waters of Ghoubet al Kharab makes it a home for whale sharks in season, which is indeed an amazing place to see. You can also find Nurse sharks, pilot whales, dolphins, school of snapper and barracudas here in Ghoubet al Kharab.